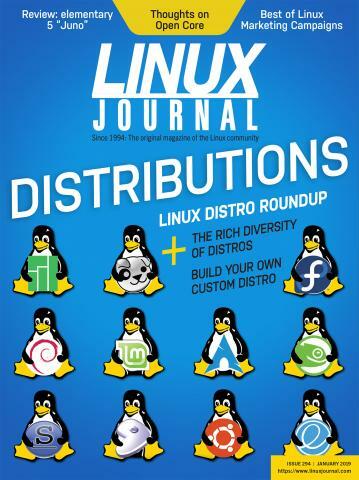 Each year Linux Journal 's editorial board calls for volunteers to join our Editorial Advisory Panel. We look for individuals from different walks of life, experiences, knowledge and backgrounds to help expand our brainstorming sessions. Brad hails from San Antonio, Texas. He got his start in *nix systems through his Computer Engineering BS degree. At the start of graduate school he finally made the switch to Linux on his home computer (much to his wife's chagrin). He spends his time teaching his family the virtues of Linux and of FOSS. He works as a Robotics Engineer for a government subcontractor in Maryland. Nick Baronian is a Security Engineer for a financial institution in the United States. Prior to focusing on security, Nick worked as a Linux Systems Administrator. When not spending time with his family, Nick tries to stay active in the Linux and Security communities. Born in Oakland, California, Hari Boukis attended UC Berkeley through the accelerated student program, graduating with a BA in 1989. Hari founded Advertising Magic, Inc. with his [now] wife, Rosalind in 1991 out of a spare bedroom in their home. Eighteen years later, Advertising Magic has 8 employees and is based out of Walnut Creek, California. Hari's business has been named "Top 100 Women-owned Businesses" in the San Francisco Bay Area eleven years in a row. Steve Case started out in computing as a graduate student in plant ecology at the University of North Carolina. As he struggled with finding an interesting thesis topic he found himself mostly interested in the nuts and bolts of computer programming, so he switched gears and started writing software for a living. In 1987 Steve went to work on Unix-based image-processing systems. He started using Linux about 1996, first for fun at home, then at work as it became more popular. In 1998 Steve went to work at Engineering Design Team, where he's been working ever since writing device drivers and libraries for high-speed interface boards for Linux, Solaris, and Windows. Steve lives in Beaverton, Oregon with his wife and three children. Kalyana Krishna Chadalavada has a bachelors degree in computer science and engineering. He has worked in the field of high performance computing for six years. Kalyana has helped develop PARAM series of supercomputers at C-DAC, India and later worked on developing HPC clusters solutions and parallel file systems for Dell. Kalyana's passions include travel, electronic games and books. As an internet junkie with advanced degrees in chemical engineering, Brian's path into information technology is a circuitous one that is still evolving. To ease the pain of administering, supporting and developing within his companies closed-source, proprietary OS environment, Brian has spent the last few years installing his favorite distro (Slackware) on every x86 based piece of hardware he comes across. When not in front of a monitor, Brian can be found photographing his two beautiful daughters (and his beautiful wife), enjoying college football (Let's Go Mountaineers!!) and reading. Starting in 1997, Caleb worked in Silicon Valley, Seattle and Amsterdam in various roles. He's worked as a UNIX/Linux systems administrator, a Perl scripter, and a web service infrastructure architect. Linux has been his primary personal operating system for 14 years, from Slackware v0.9 in 1993 to Ubuntu today. Apart from computing, he enjoys gardening, jazz and yoga. Caleb, who holds a diploma in Culinary Arts and a bachelors degree in Psychology, recently relocated to Toronto where he lives with his husband, Daniel, and codes Ruby for a local startup. Keir Davis was first exposed to programming at the age of twelve, when his father brought home a Texas Instruments TI-99/4A. Keir has been programming ever since and now holds a Master of Science degree in Computer Science from the University of North Carolina at Greensboro. Today, Keir is the president of Xtern Software, which provides custom software development services to manufacturers around the world. Keir is also a co-author of The Definitive Guide To Linux Network Programming from Apress. For more than thirty years, Michael Eager has worked on development tools (compilers, assemblers, linkers, debuggers and simulators) for systems ranging from tiny microprogrammed processors to large mainframes systems. He's worked for semiconductor companies National Semiconductor and AMD, Linux distributors MontaVista and Wind River, as well as embedded system tools developer Microtec Research. Today, Michael heads his own company, Eager Consulting, which focuses on development tools for embedded systems. Michael has participated on several standards committees, including C++ and TIS, and is chair of the DWARF Debugging Format Standards Committee. When not fixing bugs, he's taking landscape photos or puttering with woodworking tools. Nick Faltys is an Electrical Engineer from the University of Nebraska. He's been working with Linux for eleven years. During this time, he has written code for various open source projects and volunteered to administer websites for a few selected non-profit organizations. Dennis Frey is a 1971 graduate of Kansas State University with Bachelors degrees in Electrical Engineering and Business Administration. Dennis has worked for Western Electric, General Electric, Westinghouse and Hughes Aircraft and most recently is retired from the U.S. Navy where he was a civil servant focusing on hardware test programming. Dennis began following Linux in the mid 1990s and subscribed to Linux Journal in time to catch the January 1995 issue #9. His hobbies include bicycling and kayaking as well as Linux -- specifically minimal Linux systems such as Slitaz, Puppy/woof, and now Android. Alicia Gibb is a researcher and rapid prototyper. When she's not doing research on the crossroads of technology and art, she's prototyping gadgets that blink, twitch, and might even be tasty to eat. She holds masters degrees in information science and art history. As Bug Lab's chief laboratory technician, she administers a workshop for exploring the instant innovation available with modular technology components. She can also be found at Brooklyn's hackerspace, NYC Resistor. With 13 years of experience with UNIX, Victor Gregorio is a System Administrator and QA Engineer for Penguin Computing. When not typing at a computer, he can be found playing with his cameras or eating cheese and olives. Feedback is welcome at victor@hacktux.com. Phil Jacob is a software architect, technology consultant and veteran of several Boston-area startups. Phil founded StyleFeeder, a personal shopping engine that uses fancy collaborative filtering algorithms to help people shop online. Previously, he has consulted for companies like Digitas, Fidelity, Schwab, Data General, 3M (and several e-commerce and community sites that never quite became household names). Phil's been a Linux Journal subscriber for 9 years and is the author of Whirlycache, a very fast Java object cache. His wife authors the popular food blog, La Tartine Gourmande. Jay Kruizenga is a former U.S. Marine turned small business owner working in the graphic design industry. He has authored over 25 articles and is presently learning to write Children's literature. Jay lives in Allendale, Michigan. As a hobby, Jay loves to install/reinstall new Linux distributions sharing his hands-on Linux experience with friends and family. Born in Toronto, Canada, David started with SlackWare back in the early 1990s, picked up the OReilly distribution of what was the first Red Hat and the rest is history. Since then, he has integrated Linux into NetWare, Windows and Unix environments and vice versa, working from single monster machines to purpose built systems from clustered web services to DNS to basic file and print. If David has a specialty, it is making "other" operating systems work and integrate with Linux, including Oracle (since version 8) and Windows. He is a networker more than a programmer and has read more readmes and integrated more oddball code than he could begin to recount. David shares his thoughts on the world of Open Source, especially the challenges of the heterogenous environment on the Linux Journal web site. Steve Marquez is an Emergency Department Registered Nurse in a Denver area Level 2 Trauma Center. He is an all around general geek who is often called upon by his friends and colleagues to solve their computing issues, often only by successfully searching the internet. He runs Critical RN Nursing Services which provides staffing services to area medical facilities. In the past, Steve has used Linux, FreeBSD or OpenBSD on the desktop since 1997. Prior to that, he used OpenSTEP on the NeXT platform. He currently uses Mac OS X, because of its ease of use and 'nix underpinnings. Happily married and father of two small children, Steve feels obligated to raise a new generation of free thinkers by exploring Linux once again with his children by installing Edubuntu on an old P3 750 Mhz notebook. His hobbies include brewing beer and vintage audio. As Director, Open Source and Standards, for Adobe Systems, Dave McAllister is focused on the company¹s long-term strategic direction as it relates to leveraging standards and open-source technologies to differentiate Adobe. Dave joined Adobe in 2006. Prior to joining Adobe, he founded Open Source Business Technologies, a consultancy that helps venture capital firms understand the commercial opportunities created by open-source technologies. Before starting his own firm, he co-founded software maker Cassatt Corp. Earlier in his career, he served as vice president and general manager of NEC¹s server business in the U.S, and as strategic technologist for Egenera, helping create the blade server space.. Dave also had a lengthy stint at Silicon Graphics where he was instrumental in bringing Linux into SGI as a core technology. Dave is also on advisory boards for various companies, and still advises on the trials and tribulations of starting up new businesses. In his non-existent free time, Dave takes photos, dabbles in gardening and cooks up a mean chili. Carson McDonald is a Senior Software Engineer, consultant and partner for Mission Data LLC located in Louisville Ky. He graduated with a B.A. in Computer Science from Transylvania University and has been programming since he was 16. Carson has 15 years of professional experience as a systems administrator and software engineer having done work for companies such as National Car Rental, Office Depot, UPS, Comdata, Lexmark and Papa John's International. His experience ra nges from real-time systems using C on QNX to high transaction e-commerce websit es using Java on Linux. Carson maintains a professional software engineering blog at http://ioncannon.net. Craig Oda is a former Internet and Linux entrepreneur who was active in Japan and the US from the mid-1990s to the early 2000s. He was a co-founder and president of the first public-access ISP in Japan as well as of the Tokyo Linux Users Group. Many in the Linux community remember Craig as the first US employee of Turbolinux, an international Linux company that raised $96 million at the turn of century. At Turbolinux he managed strategic alliances, product marketing and product management. Later, Craig moved on to manage sales and marketing for SWsoft and the Virtuozzo Linux virtualization project. Today Craig works as a public relations consultant in Silicon Valley with around a dozen open source companies. Jeffrey Parent has a BS in Computer Engineering from Iowa State University and is currently working on Masters in Computer Engineering (also at Iowa State). He is currently working for Emerson Process Management's Remote Automation Solutions Division on development with the Foundation Fieldbus Protocol and Linux Operating System. Jeffrey is a member of the Ames Free Unix Group and the Iowa State Information Assurance Student Group. When Jeff is not working he enjoys golfing, downhill skiing, and playing bass guitar. He also has studied Martial Arts for 15 years and has a black belt in Tae Kwon Do. Charnell Lucich has been in the Web Hosting industry for more than 7 years. Currently, she is the Community Evangelist for PEER 1; teaching the community about the company and its products. More importantly, building relationships and keeping the lines of communication open between customers and staff. Being in the Marketing & Communications department (communications being the key-word), you can generally find her talking away on the Company Blog's, Twitter, Community Forums, and other Social Networking sites. Mother of 2, grandmother of 1, always seeking new adventures in her spare time. Thomas J. Quinlan has more than 25 years of experience with technology, including 10 years with Linux. He has held positions at several technology consulting companies, performing system administration and network and application security for some of the internet's largest on-line applications. He has extensive experience in computer security, digital forensics, malware reverse engineering, and electronic discovery, and has been charged with several large scale investigations during his career. He currently lives in McLean, Virginia, though his passion for travel often takes him elsewhere. Mike Roberts will be in his silver anniversary of marriage in 2008. He has two grown children, one of them married. He has been involved with technology since the late 1970's when his career began with the US Air Force. He has worked for a variety of companies including ComputerVision, Zollner Pistons and Honeywell. Positions held include Field Service Engineer, Plant Electrical Engineer's Assistant, CAD/CAM/CAT Manger, Systems Administrator and Developer. Today he is lead engineer on an internal software development project for a large corporation. Mike is a music, automobile and aviation enthusiast but not a musician, race car driver or pilot. Now that his children are grown he's toying with the notion of pursuing one or more of the above. Kristin Shoemaker is a freelance writer and librarian. She lives just outside of Boston, Massachusetts with her husband, two small dogs, and sundry ground boas and box turtles. Kristin has a masters in library science, and has been using Linux since 2001. When not heartlessly eviscerating hardware, she is engaged in one of three tasks: writing, sleeping, or trying to remember where she left the flash drive. Chris D. Stark is a Linux Systems Administrator for Gemini Observatory, an international partnership with identical telescopes in Hawaii and Chile. Despite the several thousand miles and seven hour timezone difference between the two sites, Chris and his colleagues in Hilo and La Serena deploy and support Linux for nearly every aspect of the day-to-day operations of the organization -- including controlling the massive, several hundred ton telescopes. Chris enjoys being neck-deep in complex Linux issues, and loves the unique challenges of using Linux technology in the cold, low-oxygen, high-altitude environment of the summit of Mauna Kea (13,800 ft). When he's not gasping for air at the summit (or breathing quite comfortably at the base facility in Hilo), Chris enjoys spending time with his wife, making and listening to music, and tinkering with his home network. Patrick Swartz is a Systems Engineer for First Data, responsible for the support and developing of the use of Linux within the company. Patrick focuses on finding ways to interoperate Linux within the existing Unix/Windows environment. In Patrick's off-time, he spends time with his wife and four children (ages 9,8,5,3) while also working on his MBA degree. James is passionate about Open Source Software and Open Standards. Since 2003, he has been a core contributor to the Drupal Project (http://drupal.org/). Within the Drupal community, he has contributed countless lines of code to several of the most popular components. In 2004, he co-founded Bryght, the first company to offer hosting and professional services exclusively for Drupal. Additionally, he was a founding General Assembly member of the Drupal Association. Currently, James serves as the Director of Education for Lullabot (http://www.lullabot.com/) the foremost consulting and training company for Drupal. In this role, he has helped to train thousands of new Drupal developers and users through public workshops, on-site training, books and DVDs. Outside of Drupal, James maintains a deep interest in the OpenID, Open Web and Jabber/ XMPP communities and frequently presents at conferences and events as an evangelist for these technologies.